We might be getting our wardrobe ready for fall, but the Turkish fashion scene is prepped and ready to display the latest collections for spring and summer. 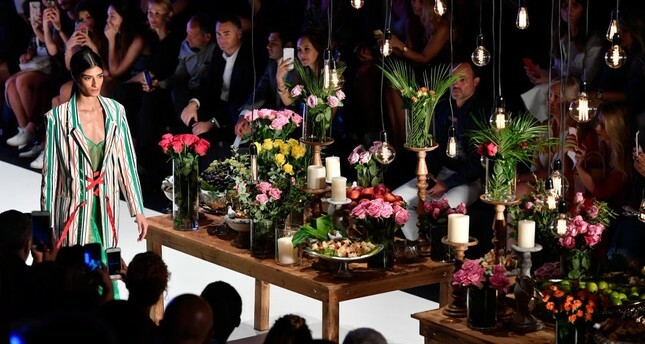 The Mercedes-Benz Fashion Week Istanbul is set to go today at Zorlu Performance Arts Center (Zorlu PSM) with the participation of leading actors and green designers of Turkish fashion. The top fashion event of the year will kick off with the show of DB Berdan by Deniz Berdan and will continue with Spring/Summer 2019 collections by Başak Cankeş, Ceren Ocak, Çiğdem Akin, Giray Sepin, Gökhan Yavaş, Gülçin Çengel, Mehmet Korkmaz, Mehtap Elaidi, Meltem Özbek, Ani Datukishvili, Mert Erkan, Kadir Kiliç, Murat Aytulum, Eda Güngör, Özlem Süer, Raşit Bağzibağli, Selen Akyüz, Sezgi Tüzel, Nihan Buruk, Şebnem Günay, Şiyar Akboğa, Gökay Gündoğdu, Tuğçe Özocak, Tuba Ergin and Ece Kavran. In the 12th season of Istanbul Fashion Week, young and talented designers will also have a chance to shine on the runway. Selen Akyüz and Sezgi Tüzel will display their collection at the KARMA 1 show, while Tuğçe Özocak's brand Third will make its debut at Mercedes-Benz Fashion Week Istanbul at the KARMA 2 show. Mercedes-Benz will also back a menswear line for the first time in its history in Istanbul and put on the Brand Who's latest collection under the title "Mercedes-Benz presents Brand Who." Georgian designer Ani Datukishvili, whose star has been shining brightly in recent years, will also display the latest collection with the support of Mercedes-Benz. The Mercedes-Benz Fashion Week Istanbul will close with the show by Başak Cankeş on Sept. 14.